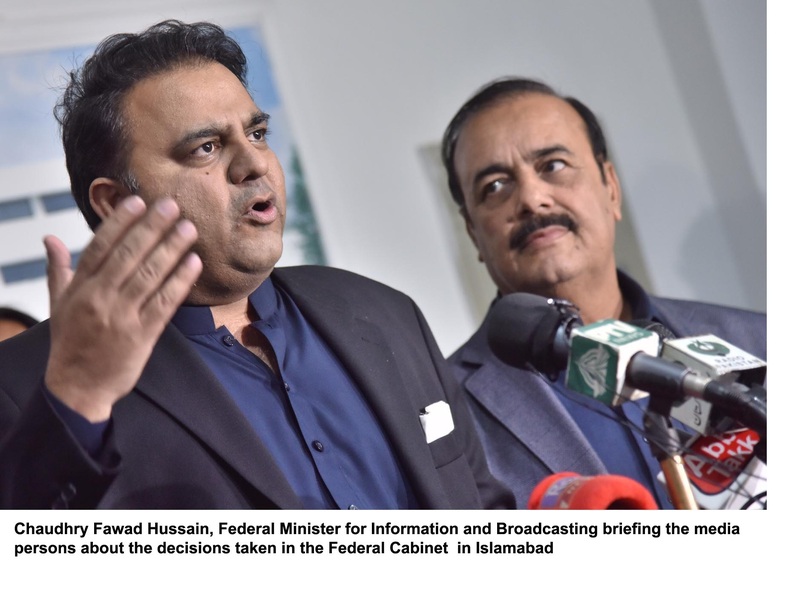 Minister for Information and Broadcasting Fawad Chaudhry says Prime Minister Imran Khan took the Federal Cabinet into confidence at a meeting in Islamabad on Thursday about his very successful visit to China. Briefing the media outside the Parliament, he said the cabinet noted that with this visit Pakistan would be in a position to handle the issue of balance of payments effectively. He said technical matters would soon be chalked out to finalize the modalities of Chinese assistance for Pakistan. The minister said Finance Minister Asad Umar is also engaged with IMF to seek further financial package to overcome the financial crunch. The cabinet also approved a protocol for prisoners' swap between Pakistan and the United Kingdom. 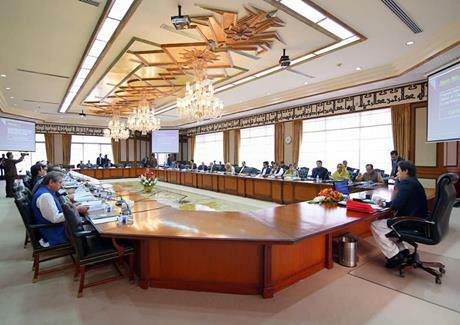 It also approved appointment of Ahmed Nawaz Sukhera as Secretary of Investment Board. The Minister said a review petition is pending in the Supreme Court in Aasia Bibi case and the Apex Court is the competent authority to take a decision on this legal and constitutional matter. To a question, Fawad Chaudhry said there is a deadlock on appointing the chairman of Public Accounts Committee. The Minister said the opposition is making hue and cry to get relief in corruption cases but it will not be possible at all. To another question he said that the government is working to bring reforms in the NAB laws and a task force headed by Law Minister Ferogh Naseem is finalizing its proposals to this effect.